You are here: Home / DIY & Crafts / How to Make DIY Envelopes for Cheap – Create Custom Envelopes on Demand! 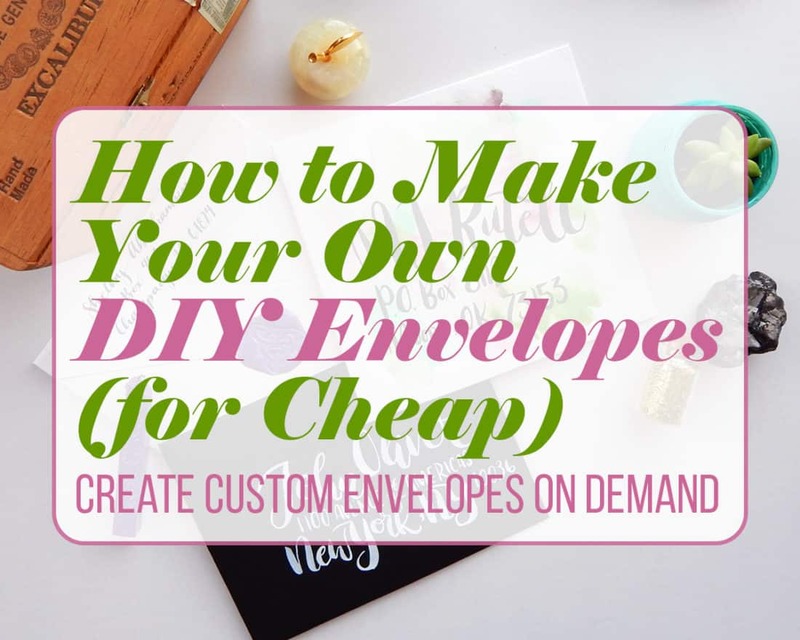 How to Make DIY Envelopes for Cheap – Create Custom Envelopes on Demand! There’s nothing as wonderful as receiving a card or letter in the mail. It just spreads such joy and warmth! That’s why I’m participating in InCoWriMo this year – to spread some love through the good old fashioned postal system. 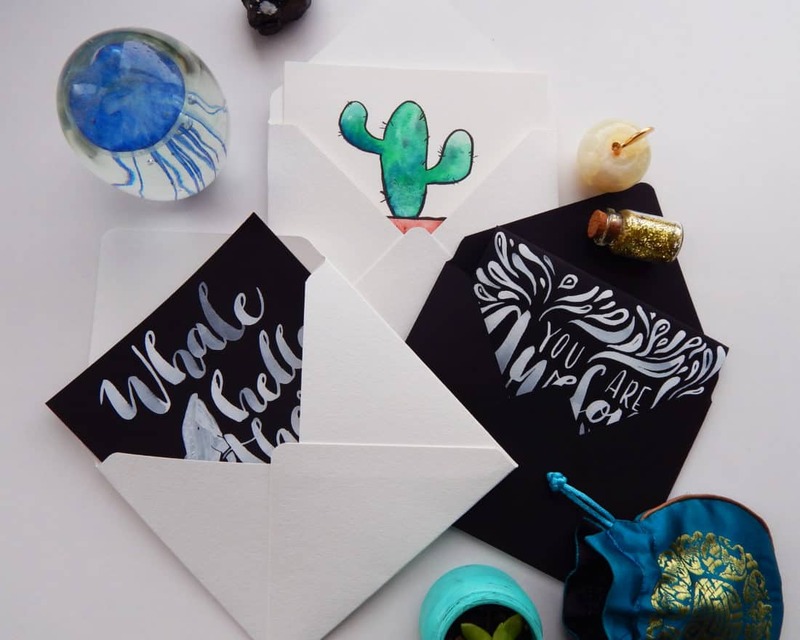 And one way to make it super fun is to create DIY envelopes! 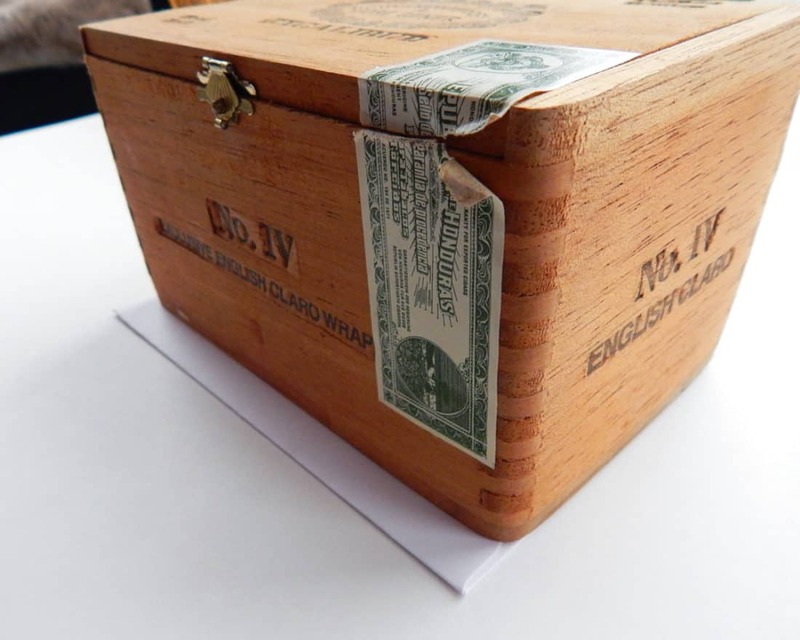 The envelope is the first impression your recipient gets of your card, so why not make it pop? 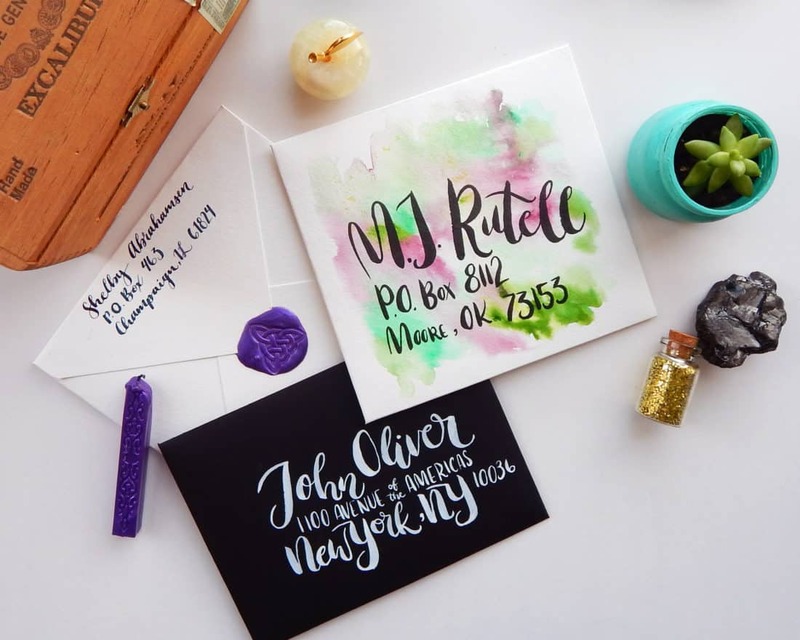 It’s so easy (and cheap) to create your own custom envelopes to match your style. 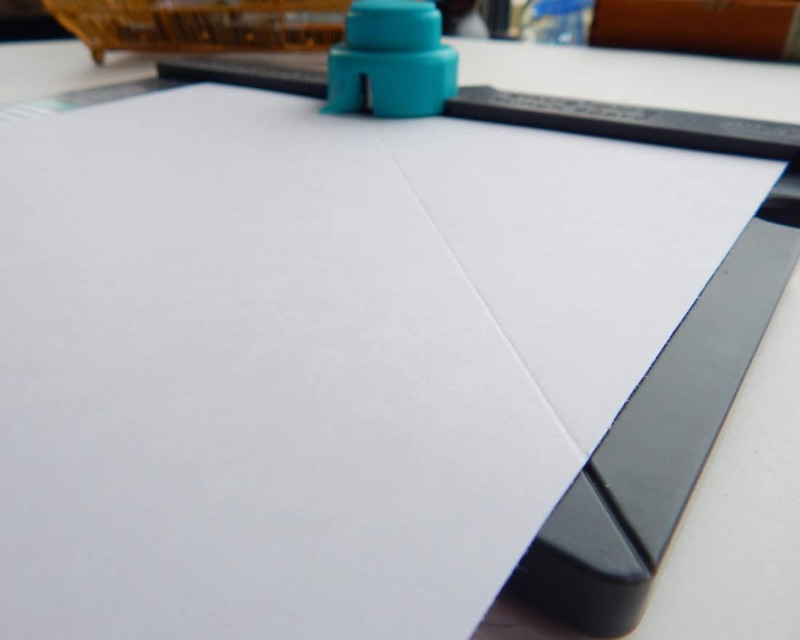 You can use whatever kind of paper you want, create any size, and do it in less than 20 minutes. It’s the perfect way to add a personal touch to your mail! Envelope Punch Board – This is the secret ingredient. 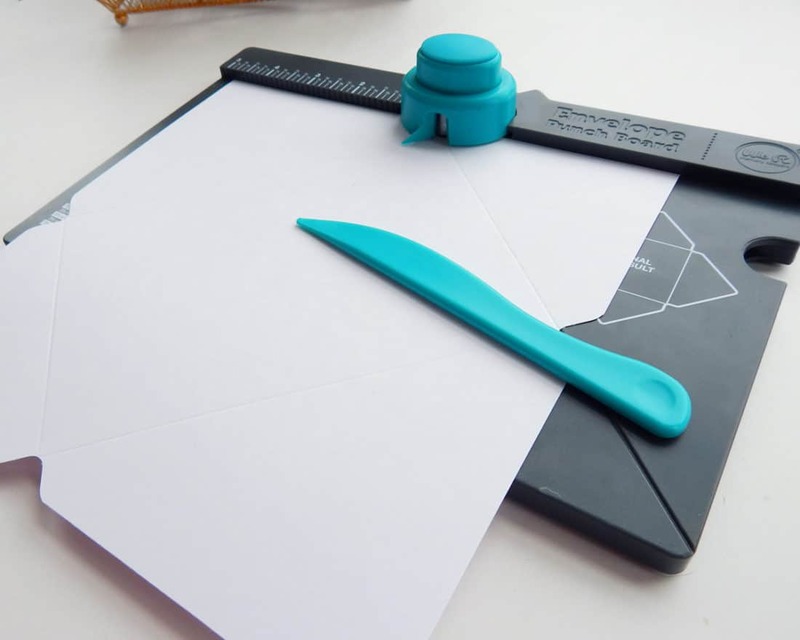 Making DIY Envelopes is 10x easier with this handy little tool, which happens to be less than $20! 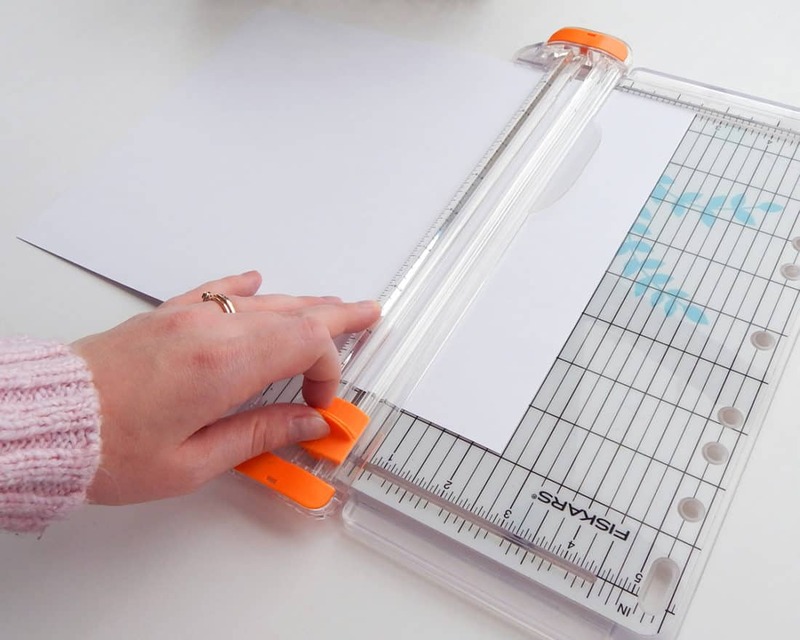 Straight Edge Cutter – Alternatively, you can use scissors and a metal ruler. Paper – This is where you can go wild. Pretty scrapbook paper, kraft paper, even wrapping paper is possible! For this project, I use watercolor paper, black cardstock, and white cardstock. 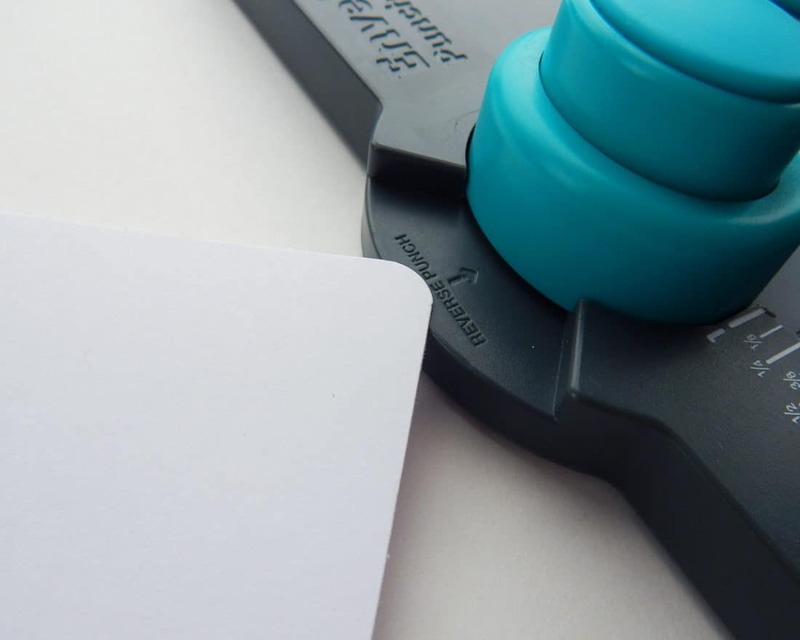 Pens – For writing gorgeous addresses! Here, I use a combo of my Pentel Pocket Brush Pen, the Tombow Fudenosuke, and the Pentel Aquash Water Brush Pen. Of course, you can use whatever you want. I just love these pens for envelope decor! Select your paper. Think about what type of look you are going for, paper thickness, etc. Go crazy and make it pretty! Check size instructions on the envelope punch board. The printed table is in inches, but the punch board comes with a full instruction chart in the metric system. 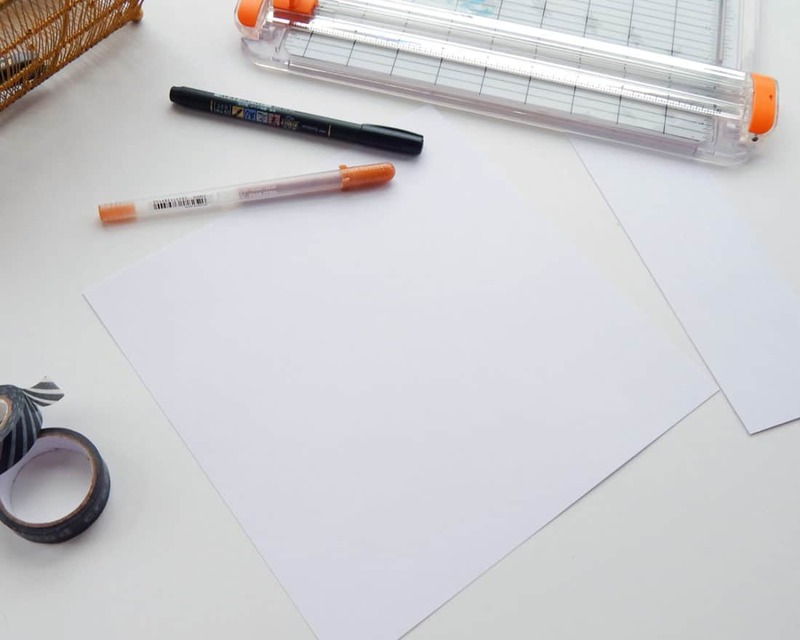 Hint: Your paper must be a square when you begin, so keep that in mind when finding the size right for your DIY envelope. 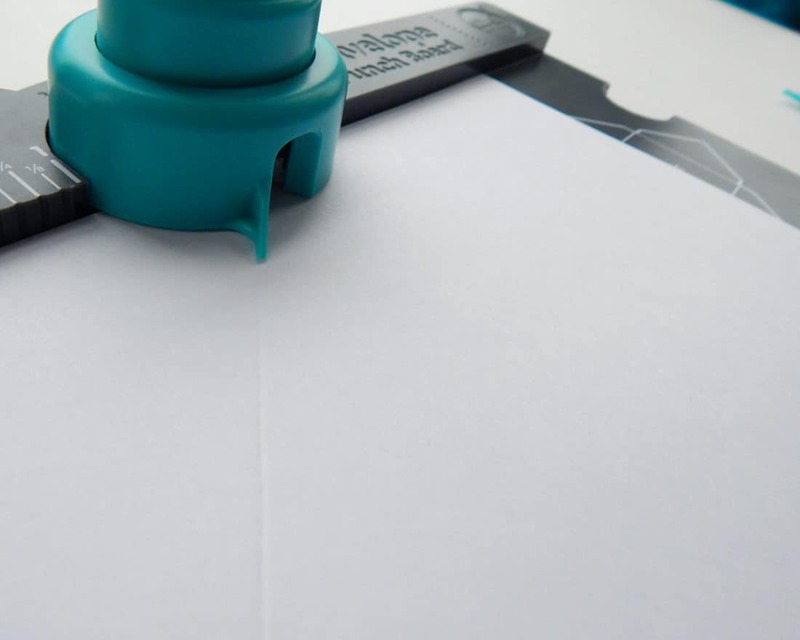 Cut your paper down to a square. I have this straight cutter around from when I made my wedding invitations, so I use it for convenience. 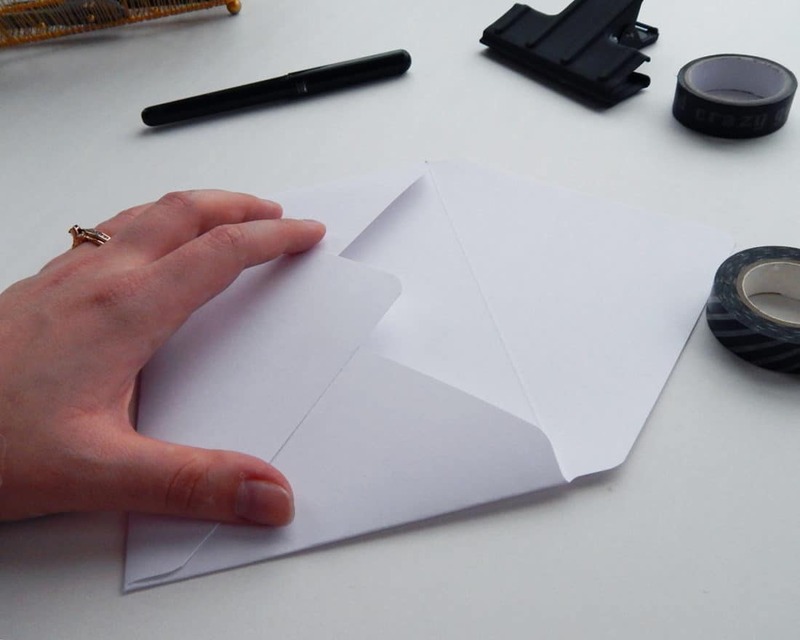 It’s also great for doing multiple envelope blanks at once, like for InCoWriMo! Of course, you can cut it by hand, though it’s tougher to get a perfect straight cut. Align the paper edge according to the guide’s instructions. Punch and score using the provided bone folder. Align the score line you just completed along to the score guide, which is that little piece of plastic pointing out from the punch button. Punch and score again. 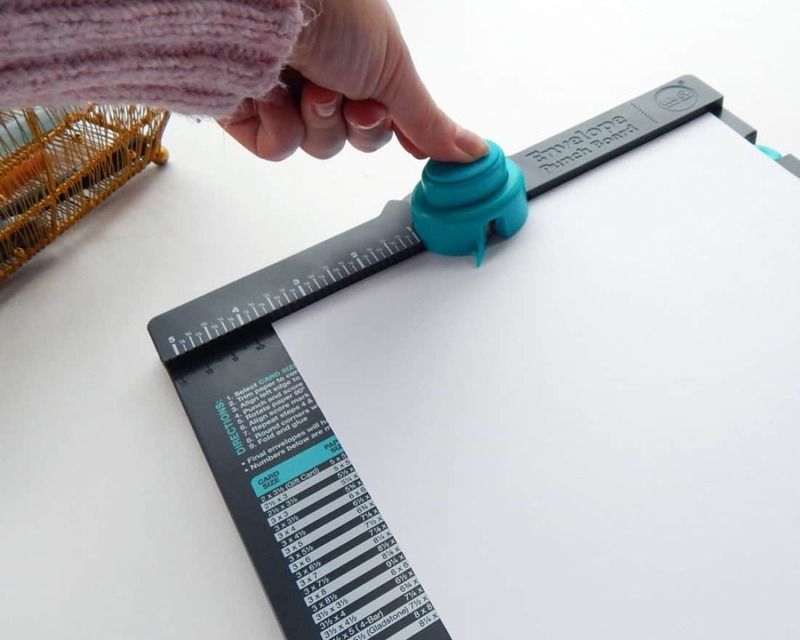 Hint: You only need to align the paper to the edge measurements from the instructions the first time. After that, the measurements next to the score button don’t matter. It’s just arranging the existing score according to the score guide. It mixed me up at first, so don’t make my mistake! Continue turning, punching, and scoring until all four sides are complete. Optional: Use the reverse punch to round the edges of your top and bottom flap. 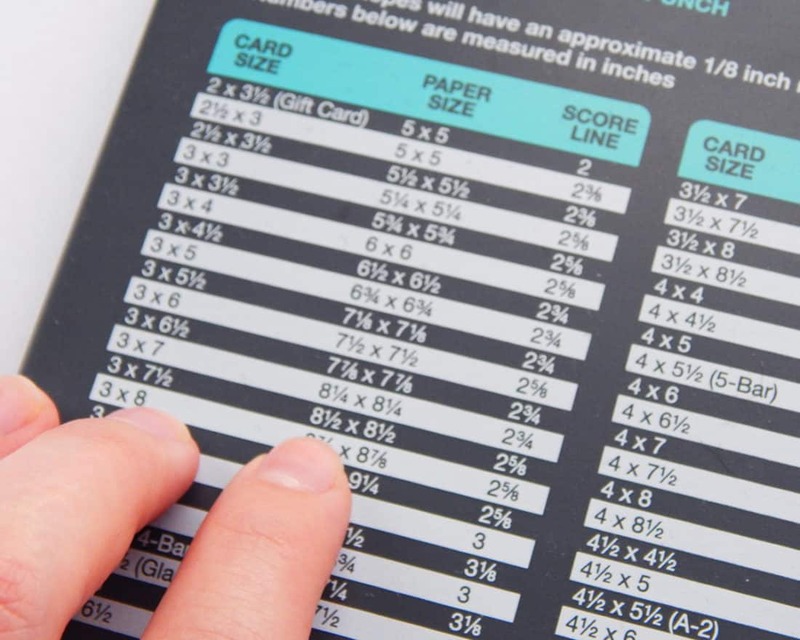 Fold the paper into an envelope, creasing the paper along the score lines. 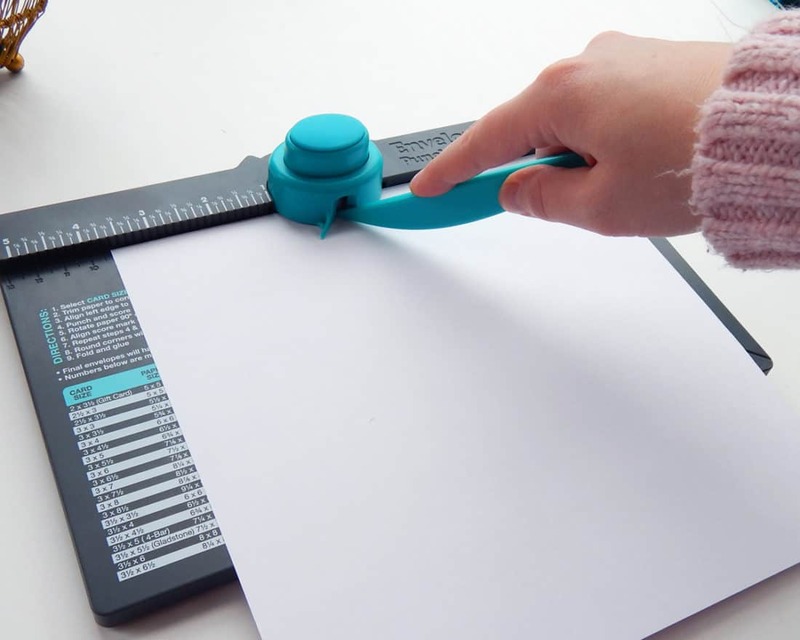 It might help to use the bone folder for thick paper. Apply glue sparingly to three of the flaps. You don’t need much to keep it together, so don’t glob it on! Put a heavy object on your DIY envelope and let it dry for about fifteen minutes. 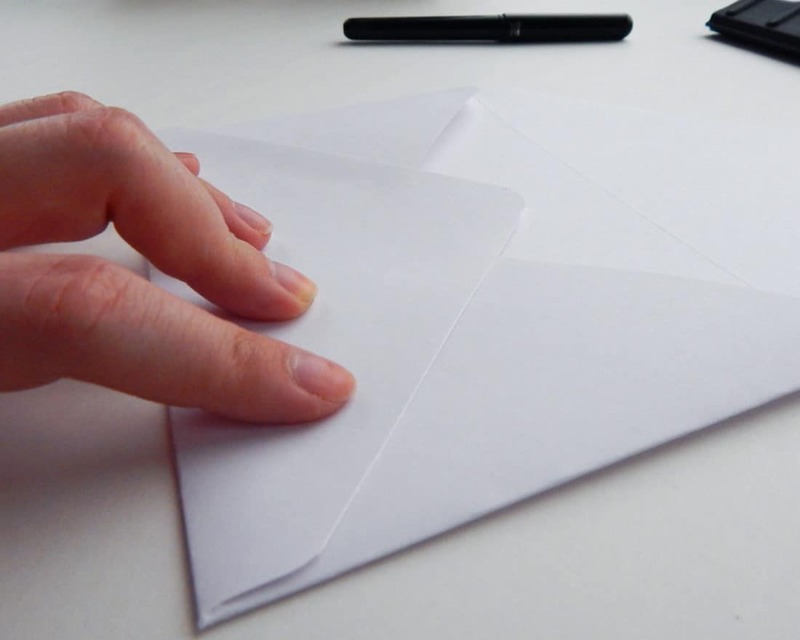 Slip your card or letter inside your custom envelope and seal the final flap with a little bit of glue again. Set it under a heavy object for a few minutes to let the glue set and you are done! 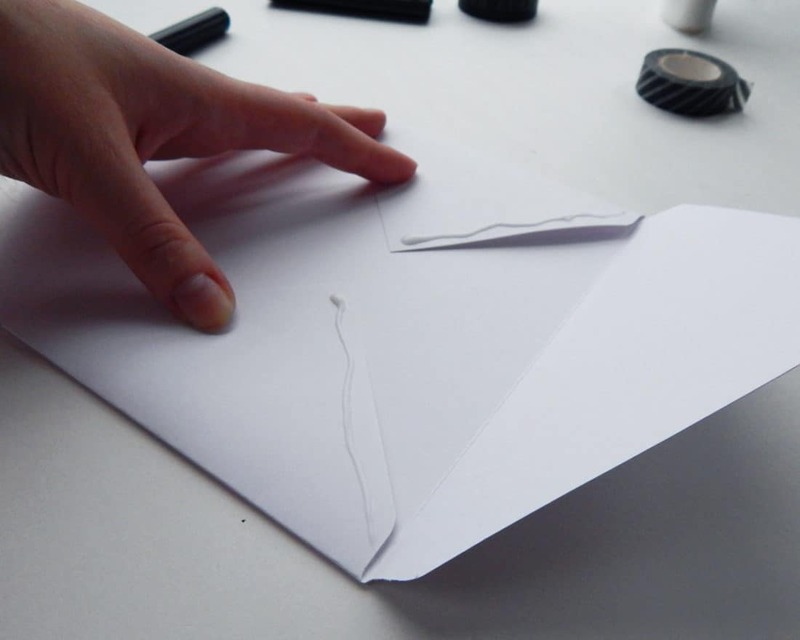 As you can see, the process for creating DIY envelopes is incredibly simple. It requires only a little bit of time and only a few materials to achieve a wide variety of envelope shapes, sizes, and styles! This is the perfect way to use old scrapbook paper that you’re totally saving for something good (you know who you are). 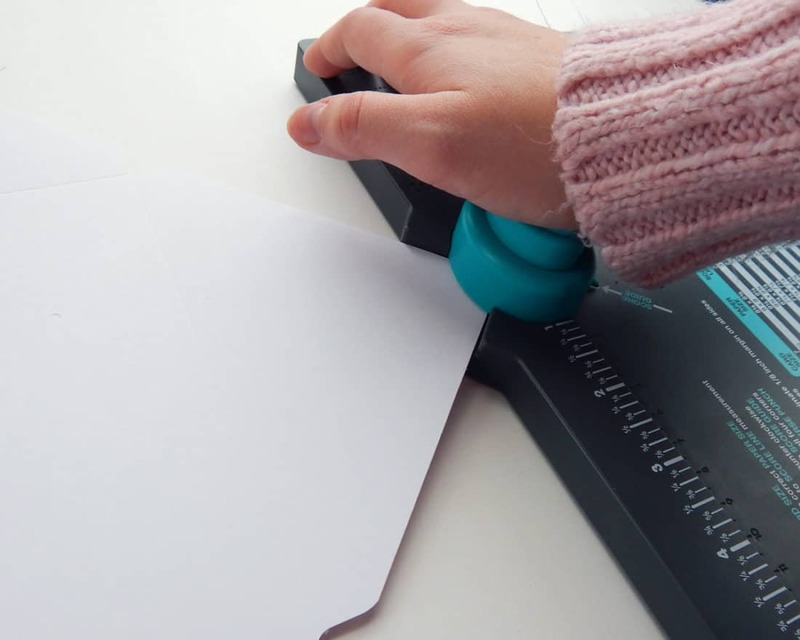 Before you go, let me impart a few tips that I’ve learned from playing with my envelope punch board. First of all – and this is important – you don’t actually have to follow the punchboard’s guide to the letter. Feel free to experiment and see how you like certain shapes. As long as you start with a square and you continue to follow the score guide line after you begin punching, you should end up with an envelope. Second, you might want to make your first envelope with plain computer paper so you get the hang of it. There’s a bit of a learning curve, so the first one might turn out a bit wonky. And I don’t want you to try with fancy paper on your first try and screw it up the way I did. Not a great way to start! Also, keep the United States Postal Service size restrictions in mind (if you’re sending within the US, of course). The minimum size is 3 1/2″ x 5″, while the maximum size is 6 1/8″ x 11 1/5″. That basically means that you can create whatever weird rectangle your heart desires as long as it’s within those sizes. If you’re not sending to or within the United States, you’ll want to check your country’s size guide before you mail! Lastly, remember that your custom envelopes don’t necessarily need to be for mail. 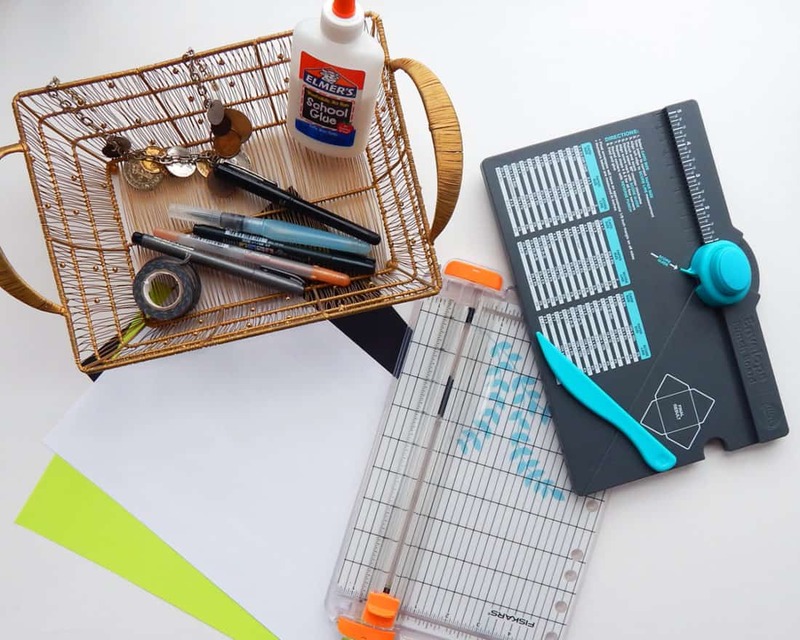 You can create cute little DIY envelopes to glue in your planner or bullet journal, for wall decorations, for keeping coupons, or any number of other projects. Don’t restrict yourself – let your imagination run wild! Use Dr. Ph. Martin’s Bleedproof White on black cardstock for that vibrant bold look. Brush letter your addresses like I did! Envelopes have a strange aura around them. There’s so much potential in an envelope, do you feel it? Maybe it’s just me. 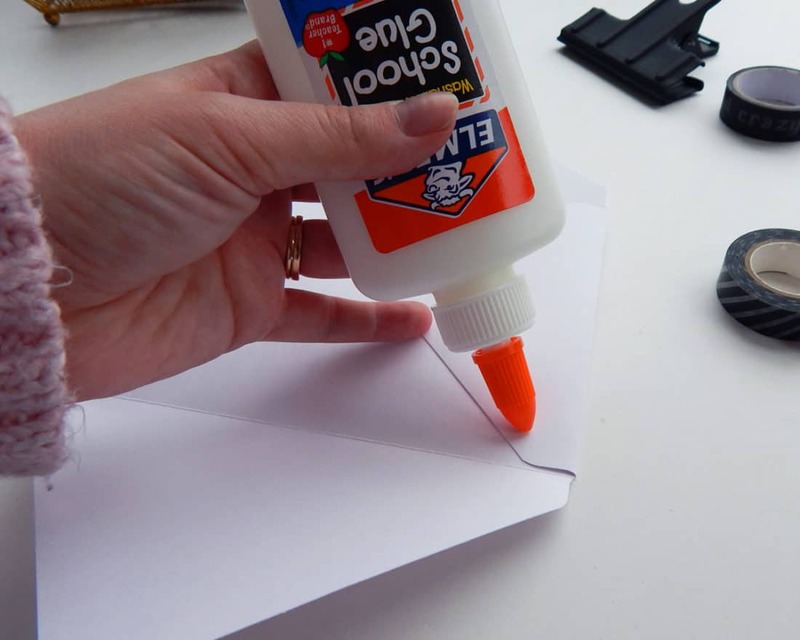 Just remember as you create your DIY envelopes that with those little pieces of paper, you can spread happiness and cheer to people all around you. That’s a pretty cool superpower, don’t you think? That sounds like a fun project Alex! Is there a way that you can do this without the seams that you used? I’m sorry, Anna, I’m not sure what you mean by seams. Can you elaborate further? I had no idea envelope punch boards existed. I’m definitely going to have to get one of those. I love scrapbook paper but I never use it. This would be so fun for sending out my various holiday cards.